Our "Orangenfalter"(Orange Butterfly). Fruity. Summery. Refreshing. 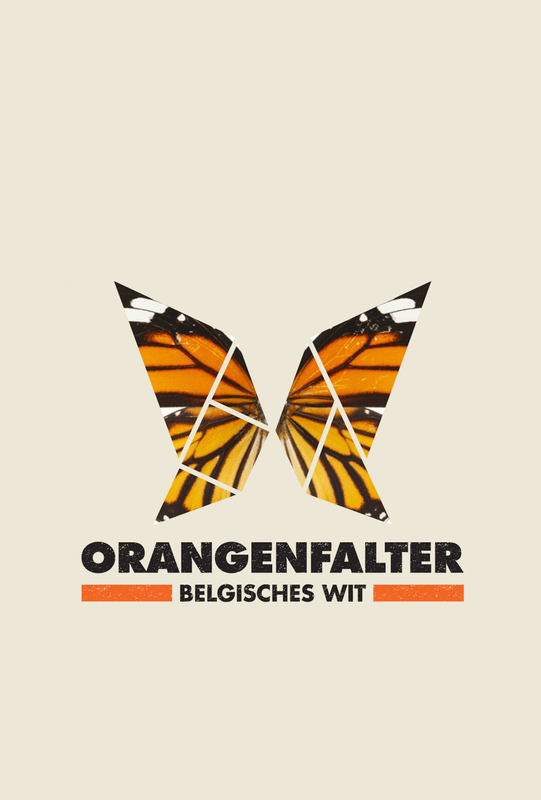 The Orange Butterfly is a Belgian Wit, which is given a very fruity note by the addition of orange peel and spices. The orange butterfly fits to summer, seafood and salad. 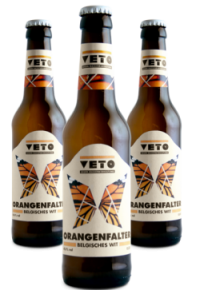 Just in time for the summer pleasure the sixth beer by VETO comes fluttering. Hazy and pale-yellow like his colleague, the Lemon Butterfly, the Belgian Witbier shimmers in the glass. The first aroma-wing beat beguiles the senses with hints of orange and coriander, whereby the used camomile gently fades into the background. Gently like a butterfly, the orange butterfly flies over your tongue. But then comes the surprise: The wheat and oat flakes used in the brewing process produce a pleasant, velvety-soft mouthfeel. Already the butterflies flutter down the throat and in the finish you will notice, that not only sweet, but also bitter orange peels were given into the brewing kettle. These leave a feathery bitterness, as if the orange butterfly still wants to linger a bit on your tongue. And although of the alcohol content of 4.8% the Wit seems very lightly, you will have a whole swarm on a balmy summer. Experience the fruity aromas intensively at 7 – 9 ° C in a special Witbeer- or tasting glass. Wit is a Belgian beer style, which is also referred as “wheat beer” by the addition of wheat malt and flakes. The taste is often refined by adding orange peel, coriander seeds and chamomile blossoms. This gives the beer fruity notes.